Lymphangitis is an acute inflammation of the lymphatic channels, usually arising from an infected lesion from which the vessel drains. In the case of an infected wound on the hand, for example, there may be seen the characteristic red streaks running up the arm outlining the lymphatics (formerly called “blood poison­ing”). As the process extends to the lymph nodes, one or more of these structures become infected, giving rise to the condition known as lymphadenitis (lymph-gland-inflammation). The presence of such conditions indicates that the infected wound has not been localized by the body’s defense powers, and, before the days of effective anti-infection drugs, constituted a seri­ous disease. Lymphadenitis may appear from an infected lesion without the apparent interceding lymphan­gitis. In such case, only the lymph nodes are en­larged and tender without evidence of lymph vessel involvement. Usually the treatment of these extending in­fections remains medical. However, occasionally the process progresses to massive lymph node in­fection, even to the extent of abscess formation, and operative drainage is necessary. Chronic lymph node infection is not common but may be seen in such a disease as tuberculosis. Elephantiasis (lymphedema) is a condition where there is an obstruction to the lymph flow wherein there accumulate large quantities of lymph in the involved part. In the leg, for ex­ample, this part may reach tremendous size as the skin becomes stretched to capacity by the accumulating lymph. This condition is seen fre­quently in the tropics due to a parasite (fllaria) which blocks the lymphatic stream; but may also be seen in blockage of the lymphatics by chronic infections, tumors, tight-fitting garments and garters, surgical and injury scars. It may be seen temporarily after surgical removal of a large group of lymph nodes for malignant disease. The obstruction producing lymphedema may be of the lymph channels or the lymph nodes. Tumors. Benign tumor growth of a lymph gland is called a lymphoma (lymph-tumor). A benign tumor growth of the lymph vessels is called a lymphangioma (lymph-vessel-tumor). These are treated for the most part by surgical removal, but a few may respond to x-radiation. Malignant diseases involving the lymphatics may be primary or secondary. In the former the malignant process begins within the substance of the lymph glands. When a solitary node be­comes cancerous and progresses with uncon­trolled growth, the tumor is known as lympho­sarcoma. These tend to spread rapidly in the vicinity, invading adjacent structures. These de­mand wide surgical removal and/or extensive x-ray treatment. In other diseases there may be cancerous in­volvement in groups of lymph nodes or the en­tire lymphatic system; such is known as lympho­matosis or Hodgkin’s disease. Often in these conditions the spleen becomes similarly involved and enlarges. In lymphatic leukemia the function of the nodes to make lymphocytes (a type of circulat­ing white blood cells) becomes uncontrolled, and excessively large numbers of these cells may be delivered to the blood stream. In this disease the lymph nodes and spleen usually become en­larged. Surgery has little to offer in the treatment of these widespread lymphatic neoplasms, ex­cept for node biopsy to confirm the diagnosis and removal of massively enlarged tumors which crowd other vital organs. 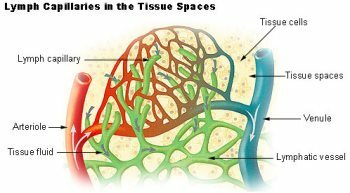 Cancerous growths primary in other tissues tend to spread through the lymphatics and their cells become trapped in the lymph glands. Here they continue to grow, to form a secondary neo­plasm in the gland. These also grow without control and may reach rather large size, or may extend farther through the lymphatics to estab­lish new growths at sites remote from the initial tumor. Therefore the lymphatic system becomes important in the surgical treatment of all can­cers. The operation for any cancer must include complete removal of the primary growth and also the group of lymph nodes to which the or­gan normally drains. The need for early diag­nosis and treatment of cancer is apparent and imperative.